Every Mother dreams a lot about their baby before the delivery. But, no amount of preparation is enough compared to the real experience of taking care of the baby. Moreover, the memories of being a #FirstTimeMom are always special. I was skeptic about my ability to take care of a baby before the delivery. I was not someone who can comfort a baby or cheer an infant. I was even afraid to hold the infants before I became pregnant. Babies are so pure, fragile and lovely that they should be treated gently. In the labor room, on that day just before 7 years ago, I was amazed by the first sight of my son who is like a cute pink bundle – peaceful, soft and lovely. There are no words to explain but the experience was more than what I dreamt before. My First expression was the happiness that I could deliver a healthy child. I was thankful to the God for my baby. When they brought the infant near me and when the nurse tried to help me with feeding, the first touch was soft. I was afraid if the baby’s skin will be damaged by my touch. When the infant was near my chest for feed, I felt an instant connection and liking. When my baby learned to feed my milk, I felt complete and felt like I had a great purpose of my life. Now, when I write my feelings about being a #FirstTimeMom, it feels a bit exaggerated, but that was the state of mind then. I feel happy and thankful that I have my Mom by my side at that time to teach me how to take care of this beautiful baby boy. It would have been a lot difficult without my mom’s help and support during that time to recover from childbirth, eat healthy food, have nice sleep and to feed my baby in regular intervals. The memories of being a #FirstTimeMom are always special. I wonder, how it would have been if there were baby wipes which were as pure as our motherhood memories. 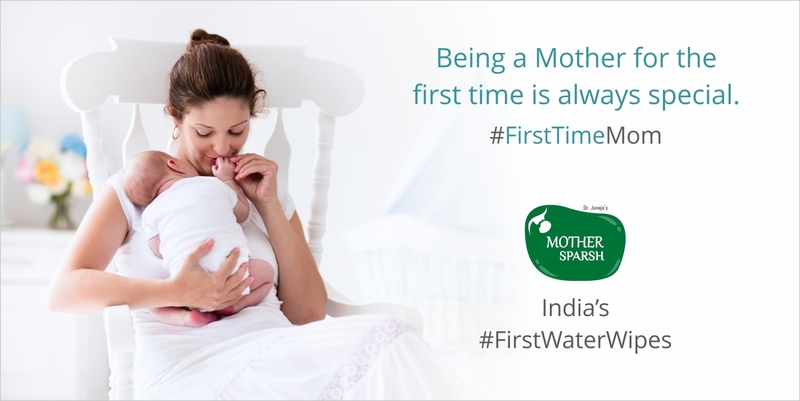 We didn’t have water-based wipes 7years ago, but now, we have #FirstWaterWipes by Mother Sparsh. At that time, I was looking for natural wipes without alcohol content and which were fragrance-free. We get a lot of baby wipes in the market which is fragrance-free and soft, but finding a wipe made with natural ingredients is tough. Diaper rash is the most common concern for newborn babies and so, choosing a wipe which doesn’t irritate their skin is a challenge. I am happy that today’s moms have a good option with Mother Sparsh as baby’s skin is 10 times more sensitive than adult skin. Mother Sparsh Baby wipes are chemically proven to prevent diaper rash and they are made with 100% plant-based fabric. Now, the new mothers know better what to choose for their baby’s skin. 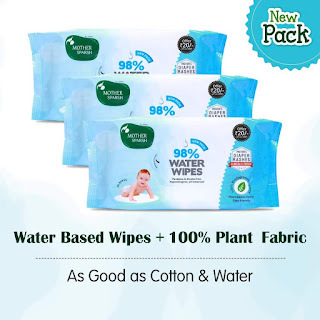 You can purchase the water-based baby wipes on Amazon/ First cry and many other famous retailers.